The Parliament of the “former Yugoslav Republic of Macedonia” with a razor-thin majority decided on Friday to begin the process to change its constitution, in accordance with the Prespes Agreement with Greece. Seven MPs of the nationalistic VMRO party and one independent had to shift their position in order for the necessary 2/3 majority (80 votes) to be obtained. 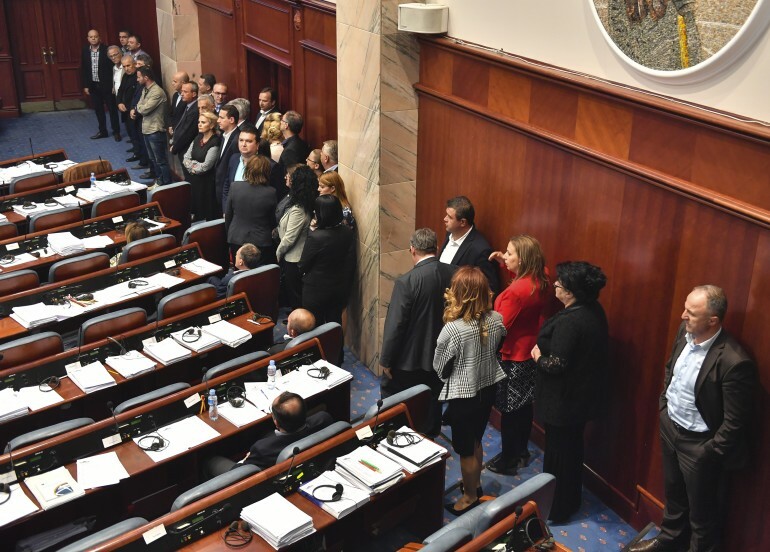 The parliament postponed twice the beginning of the crucial final session that was concluding with the voting, that followed a tense week of debate and back-room negotiations in Skopje, where it was unclear until the last moment whether the government could secure votes from two-thirds of parliament. “I can confirm that with 80 ‘yes’ votes the parliament adopted the proposal by the government to start the procedure to change the constitution,” said Talat Xhaferi, speaker of the 120-member assembly. Lawmakers now have 15 days to prepare amendments to the Constitution, and those must pass before the agreement can be taken up in the Greek Parliament, where significant opposition would have to be overcome. Defense Minister Panos Kammenos, who heads a small right-wing party that props up the government in the legislature, has threatened to quit the coalition if the Greek vote goes ahead. Under the accord, which Prime Minister Zoran Zaev struck with his Greek counterpart Alexis Tsipras in June, FYROM would rename itself “North Macedonia” in exchange for Athens’ promise to stop blocking its entry into NATO and the EU. Among the ‘yes’ voters were three VMRO-DPMNE politicians who were granted bail from house arrest this week. They are facing trial for their alleged involvement in a bloody mob attack on parliament on April 27, 2017, when nationalist supporters of VMRO-DPMNE stormed the assembly and injured scores, including Zaev. 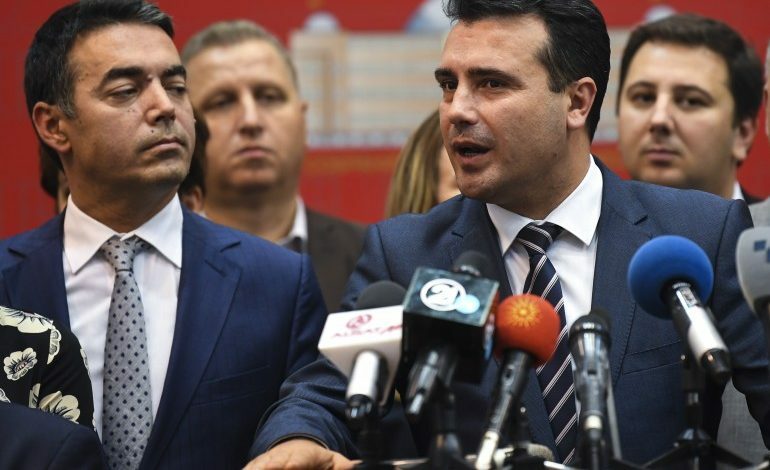 “I want to say thank you to every MP and especially to the MPs from VMRO-DPMNE who put the state’s interests above party and personal interests, despite the unnecessary pressure over them,” Zaev said after the vote, adding that he would “guarantee” their safety. The Prime Minister refused to say Friday whether there had been any negotiation for their eventual amnesty. “I personally forgive everyone,” he told reporters, reiterating a call her made earlier in the week for “reconciliation” over the incident. He also denied an accusation from VMRO-DPMNE that his government had offered bribes for votes. The government rejected the allegations and said it would respond with legal action. Russia and the US have traded allegations of interfering in Macedonia’s affairs. Last month Washington accused Moscow of running a disinformation campaign to sour the public on the deal ahead of a referendum on the changes. On Thursday Russia, which opposes Macedonia’s NATO aspirations, fired back. “There is a continuation of the crudest interference of the US and EU in Skopje’s internal affairs, the level of which has already surpassed conceivable boundaries,” the Russian Foreign Ministry said in a statement on Thursday. It mentioned a letter that US Assistant Secretary of State Wess Mitchell sent to VMRO-DPMNE leader Hristijan Mickoski this week, saying he was “disappointed” with the party’s stance. In recent weeks US and EU officials have voiced strong support for the name-change deal, pitching it as a once-in-a-lifetime opportunity for Macedonia to cement an alliance with the West. “A great day for democracy in Skopje,” Johannes Hahn, the EU’s commissioner in charge of enlargement, wrote on his Twitter account. The head of main opposition New Democracy, Kyriakos Mitsotakis, once again underlined that his party will not vote for the Prespes Agreement if it comes to parliament, while touring the island of Kefalonia on Saturday. 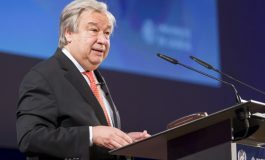 He also called for general elections in Greece before this happens, noting that this was the only way to ensure that the agreement would not be ratified by the Greek parliament. “From the first moment we have made clear that ND will not ratify the Agreement, either now or in the next parliament, because we consider it damaging for the nation’s interests since, for the first time, a ‘Macedonian’ language and nationality are conceded to our neighbours,” he said. “The image projected by the neighbouring country during the preparation for yesterday’s first vote was not in keeping with a country hoping to join the great European family,” he added. A solution to the dispute with neighbouring FYROM over the name will be in Greece’s interests, opposition Potami party leader Stavros Theodorakis said in an interview with the weekend issue of the Greek paper ‘Efimerida ton Syntakton’. 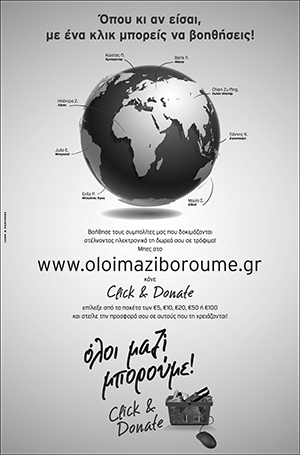 “If Mr. Tsipras wanted to change our foreign policy, then he rightly removed Mr. Kotzias. If, however, he did not want to change foreign policy then he suffered a major defeat. He is removing the minister of the Prespes Agreement and keeping the saboteur of the Agreement,” he said. According to Potami’s leader, this was a sign that the prime minister was desperately trying to hang on and eke out the days of the coalition government, at least until next May. Independent MP Haris Theoharis on Saturday indicated that he would be prepared to vote for the Prespes Agreement between Greece and FYROM if certain constitutional changes are made, in an interview with the Athens-Macedonian News Agency (ANA). “Developments over the past hours show that the agreement for the constitutional changes our neighbours have agreed to make is moving forward. Provided that these changes make clear what is self-evident – namely that the Slavic language and Slavic people have absolutely no connection with Greek history and Alexander the Great – then this agreement is genuinely in the interests of our country and I could vote for it,” Theoharis said. The MP expressed doubts whether the head of the Independent Greeks (ANEL) party, Defence Minister Panos Kammenos, would pull his party out of the coalition government if the Agreement came to the Greek parliament to be ratified. 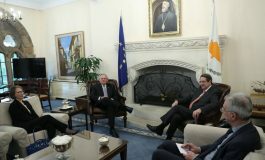 Greece needs the stability of permanent four-year electoral cycles and there is no reason to deviate from this unless government instability is great, Theoharis noted, while saying that he had no “taboos” over lending his support to the present government on issues that he considered it was handling correctly. Theoharis denied having any discussion with ruling coalition leader SYRIZA about any possible cooperation and expressed the opinion that no progressive front could form with SYRIZA, the Movement for Change (KINAL) and Potami. The MP did not rule out running as an independent in the next elections while expressing his concern that Greece has not unveiled any strategic plan for accessing the markets, especially in 2019. He also commented on Titan’s decision to leave the Athens stock exchange and become listed in the Brussels bourse. “These are, unfortunately, divestment moves that cannot be overlooked and ring a warning bell for the government regarding the actions it must take over the coming period,” he added.